For Francesco and Katia, hairstyling isn’t just about the cut: it’s a way of life, an element of personal style, and above all, an ART. Their personal involvement in every consultation makes every client feel special, and every look unforgettable. 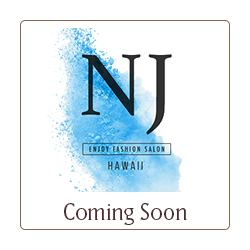 Their exclusive “Made in Italy” style is now making waves on Big Island, with their innate style, dedication to excellence and passionate pursuit of the latest trends and techniques from top fashion academies around the world.